Editor’s Note: Much of the information contained in this entry was supplied by Mary L. Mall, Leroy Halbert’s granddaughter, and shared with the Social Welfare History Project. Leroy A. Halbert was born in Pontiac, Illinois, on June 23, 1875. Raised as a Congregationalist, Halpert attended the Chicago Theological Seminary and received a Bachelor’s Degree of Divinity. From 1902-1909, he managed the Bethel Mission in Kansas City, Kansas. While in Kansas, he also studied at Washburn Collegein Topeka, and earned a Bachelor’s of Arts, a Master of Arts and a Doctor of Laws degrees. In 1909, Halbert was selected to be Secretary of the Kansas City, Missouri Board of Pardons and Paroles. In December of that year, during an economic depression, it was announced that a parade of unemployed men were planning to march to city hall and demand some sort of help from the mayor. Leroy Halbert and William Volker, the Board’s president, learned of the proposed parade; and they arranged to meet with Mr. E.T. Brigham, Superintendent of the Helping Hand Institute, to discuss a plan to help the unemployed. The Helping Hand Institute, established in 1894, was originally a rescue mission for homeless men and runaway boys. During the winter months, it also served as a refuge for the temporarily unemployed. In the winter of 1909, the Institute was managing a stone quarry in the city’s Penn Valley park under the auspices of a committee representing a variety of charitable and civic groups. The Institute used homeless and unemployed men living in their sleeping quarters to quarry and break rock. The Park Board bought the rock at a dollar a yard and used it for making streets and boulevards. The men who worked in the rock quarry were paid in script redeemable at the Institute for meals, groceries, lodging and clothing. With a days work a man could earn enough for a few days room and board. A city official at the time characterized this arrangement as the “best investment” of its kind Kansas City ever made. Volker was also a member of the board of the Helping Hand Institute and he was helping finance the rock quarry operation. With Volker’s support, E. T. Brigham and Leroy Halbert went together to meet Mayor T.T. Crittenden and suggested to him that the city meet the demands of the unemployed by expanding the rock quarrying operations, and allowing some of the unemployed to have work. The Mayor accepted the suggestion and announced the plan to the unemployed. Volker and a Mr. Pearson were appointed to be a committee overseeing the new operation; shortly thereafter, they met and recommended to the Mayor that he enlarge the committee into a commission charged with considering the duty of the city toward helping the poor and the unemployed and to design measures to prevent, as far as possible, more poverty and unemployment. The Mayor appointed a body of prominent and representative people with experienced in dealing with social problems in the city and they set to work on this assignment. Volker financed a study tour to be undertaken by Halbert and Charles A. Sumner, who was then secretary of the city club. Their charge was to visit large cities all over the country and learn what was being done in those cities to deal with poverty and the unemployed. From the finding of their reports and their own ideas about what to do, the commission then set out to devise a plan to create a Board of Public Welfare. Mr. Volker consulted various lawyers about drafting an ordinance to embody the ideas of the commission. Volker increased the number of members on the Board of Pardons and Paroles to five (from three) and changed the name to the Board of Public Welfare, a name selected by Mr. Volker himself. On April 14, 1910 the City Council passed the ordinance, as drafted by William Volker, which created the nation’s first Board of Public Welfare. Halbert was appointed General Superintendent of the Department of Public Welfare in Kansas City, the first organization using that name in the country. In a July 20, 1931 letter to Mr. Guy Moffett, Director of the Laura Spellman Fund in New York City, Leroy Halbert described the various functions and duties undertaken by the newly created Department of Public Welfare. “We established a vigorous program that covered the administration of the City Municipal Farm for Misdemeanants; the endorsement of the Private Charities of the City; the operation of the Municipal Employment Agency; the Bureau for the Care of the Homeless Men; the establishment of a Free Legal Aid Bureau, which was the first one to be provided for by public funds; the establishment of a Research Department, which published fifteen reports on many different subjects including, Housing, the Social Evil, Recreation Facilities of the City, and so forth. The Department also established a Social Service Department, which furnished case workers to the Private Agencies in the City. A Social Service Exchange, under county auspices, was also initiated. 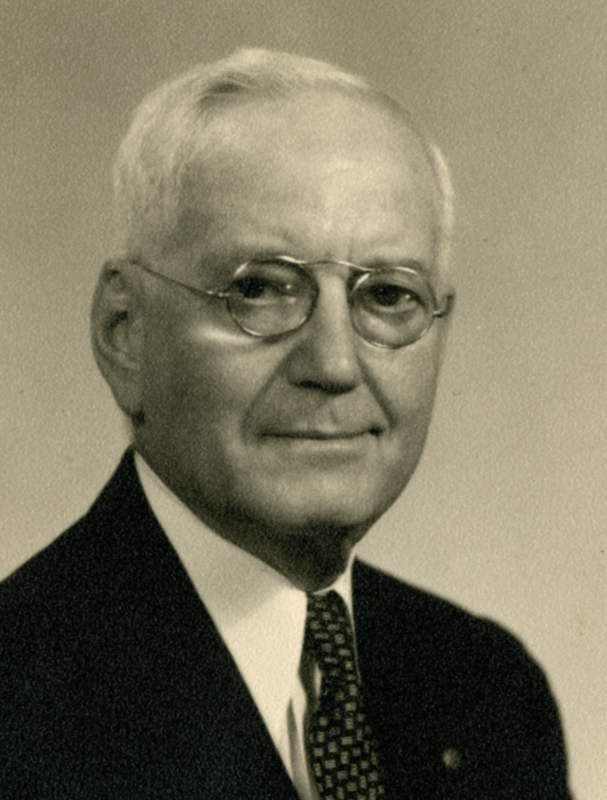 Leroy Halbert served as General Superintendent of the Kansas City Board of Public Welfare for eight years. During that time, he helped formulate plans for how other cities, counties and states could organize their own Boards of Public Welfare. For example, in a presentation to officials in Topeka, Kansas in the Spring of 1912, he said: “…small towns could not afford to have a full time trained social worker and that the proper unit for handling welfare problems for the small communities was the county and urged that probation work, truancy work, relief work, etc. should all be concentrated in the hands of a good trained social worker.” A summary of his ideas was published in the August 7 issue of the Survey entitled: “A Plan for Co-Ordinating State Public Welfare Work.” At the July 5-12, 1913 meeting of the National Conference of Social Work held in Seattle, Washington, Leroy Halbert presented a paper on “Boards of Public Welfare and Good City Government.” In 1916 Halbert was President of the American Association of Public Officials of Charities and Corrections. At the May 15-22, 1918 meeting of the National Conference of Social Work, Halbert made another presentation entitled: “Boards of Public Welfare: A System of Government Social Work.” In this presentation, he both summarized the progress of the idea emanating from the Kansas City experience and outlined a plan for a department of public welfare in the federal government. Leroy Halbert’s presentations and publications on how to organize public welfare programs were instrumental in stimulating the rapid growth of county and state welfare departments throughout the nation. Briefly, in 1919, Halbert served as district representative of Community Service, Inc., an outgrowth of War Camp Community Service and of the American Playground and Recreational Association. He then assumed the executive directorship of the Kansas City Council of Social Agencies from 1920 to 1929. In 1930 Halbert returned to public welfare administration as Rhode Island’s director of state institutions. Two letters from this period are below: The first is a letter of thanks from Porter R. Lee; the second letter is a request for a leave up absence in order to be one of four representatives of the American Public Welfare Association on the President’s Organization on Unemployment Relief. Original documents and correspondence collected and transcribed by Mary L. Mall, Mr. Halbert’s granddaughter.